Sunflower fields, rows of cyprus trees, stone farmhouses perched on top of hills bring in mind the secens from the celebrated film "Under the Tuscan Sun ". 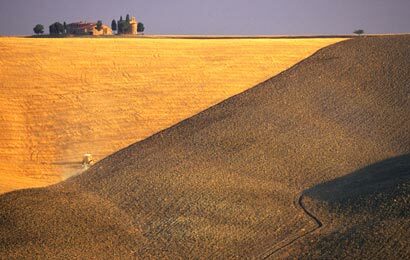 You will have the chance to experience this magic part of Tuscany during the excursion to what is considered THE most beautiful corner of Italy. Add to this the abandoned monastery featured in " the English Patient" or lunch in a country inn surrounded by the olive grove. You will not want to leave.